(Last Updated : 25.05.15) DSSSB declared Revised Result of TGT (Sanskrit) Male & Female Post Code No. 61/10 & 62/10 against Advt. No. 02/2010 vide result notice no. 322 dated 22.05.2015. While declaring the result of TGT Sanskrit (post codes 61/10 & 62/10) the Deptt. had kept result of some candidates in pending list for completion of documents etc. After the process of document verification some candidates have been found eligible and provisionally selected for the post of TGT Sanskrit. The examination to these posts was held on 26/02/2012. 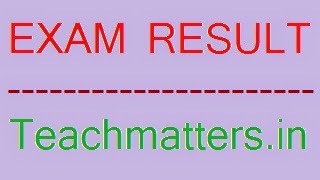 The result of Part-I (objective type) was declared on 19/06/2012. DSSSB issued a Notice to five candidates for appearing in Board for submitting their documents, for uploading on official website of Board. While declaring the result of TGT Sanskrit (post codes 61/10 & 62/10) the Deptt. had kept result of these candidates in pending list for completion of documents. These candidates were directed to attend the Board on 22.07.2014 & 06.01.2015 with the required documents to ascertain their eligibility for the post, bu they failed to appear on these days. Now, they are again called upon to attend the Board on10.06.2015 at 11.30 AM along with Marksheet of Part-I&II & Degree of Graduation and B.Ed. (alongwith Original and Attested copies) failing which their candidature for the post shall be cancelled without further notice.